WFP’s Innovation Accelerator opens its doors next week to the latest cohort of start-ups and social entrepreneurs who believe they have what it takes to help end hunger. What’s more, we’re working with Google Developers Launchpad for the first time as part of an exciting collaboration that combines their technical expertise and mentorship programme with WFP’s field know-how and Accelerator. 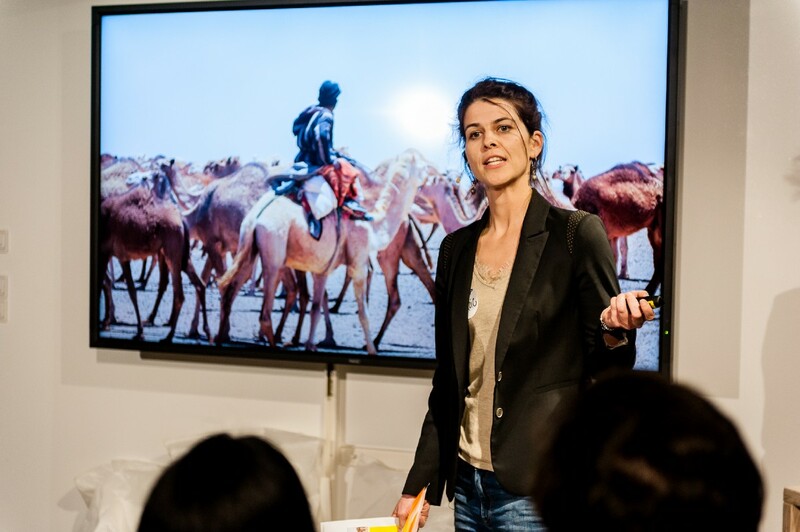 Bootcamps are often the first point of contact for start-ups and internal-WFP projects supported by the Innovation Accelerator. Since launching in 2016, more than 20 innovations have progressed from bootcamp to join the Sprint Programme, where they received funding, hands-on support and access to a global network to bring their concept to life. Eleven innovation teams — featuring start-ups from as far afield as Kenya and Dubai — will attend the Accelerator’s office in Munich. Over the course of an intensive week-long programme they’ll receive support, guidance and the occasional curve-ball that tests their ability to work alongside WFP in ending hunger. To learn more about the teams, keep scrolling. 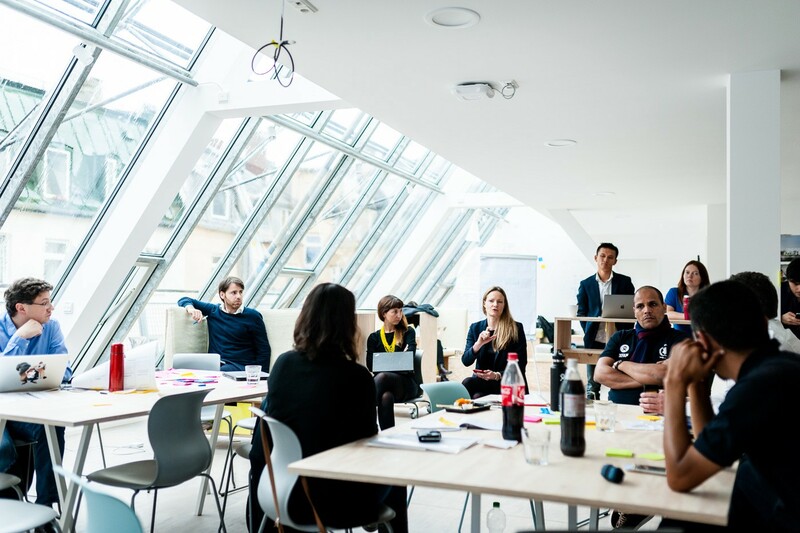 On Thursday 8 March, teams will pitch to an audience of investors, partners and the Accelerator as part of a special event, held at the Google Offices in Munich. To secure a seat at the event, register here. But act fast, space is available on a first come, first serve basis! URS Labs has developed a Guided Drone Transportation System (or GDTS-SXM1) using complex and innovative robotics and artificial intelligence, combined with custom made, revolutionary all-terrain delivery platforms. Gravity is a RegTech start-up that aims to provide anyone with access to a mobile phone with a trusted Proof of Existence independently from any public infrastructure — with no dependency to official ID, postal addressing or banking systems. Akorion is an agtech company digitizing agricultural value chains to enable all commercial farmers and other agribusinesses to access high-quality production and marketing services. EverID is a stealth-stage company working on user-centric, biometric, global identity solutions on the blockchain. AgUnity streamlines co-operative operations by putting a simple distributed crypto-ledger mobile App into the hands of every small farmer. The mobile app called AgriLedger helps reduce food waste and farmer inefficiency. WFP South Sudan & Bibimoney: WFP South Sudan aims to use a virtual money wallet, developed by UK-based Fintech company Bibimoney, to improve the transfer of cash assistance to people. Chakula Chap Chap is a new cash delivery mechanism that doesn’t require accounts to be opened. The project has been developed by WFP Kenya for use in emergency response. Remote Sensing for Crop Assessment: By combining satellite sensing, drones, smart phones and field based surveys, WFP South Sudan aims to help local communities eradicate crop pests like Fall Army Worm (FAW). Maano — Virtual Farmers’ Market (VFM) is an app-based e-commerce platform where farmers’ surplus and buyers’ demand for crops are advertised and traded. Cargo On Demand (CODe) is an online platform that matches demand for humanitarian and development cargo to local transport companies. Dalili is a smartphone app developed by WFP that helps Syrian refugees compare the prices of products sold by contracted grocery stores in Lebanon.